Shrubs that have shallow roots include some of the most prevalent and attractive shrubs, from showy, flowering plants to needled conifers. Shrubs with shallow roots have advantages and disadvantages. Home gardeners need to consider where the shrub will be planted, as well as light and watering needs, before deciding if a shrub with shallow roots is right for them. Shrubs with shallow roots have the distinct advantage of being easily transplanted. With no long, deep taproot, it is relatively easy to dig them up and move them if the need arises. In addition, shallow-rooted shrubs are easier to propagate. Rhododendrons, for example, can be propagated with small cuttings -- about 2 to 3 inches long -- due to the fact that they have shallow roots. The biggest disadvantage shrubs with shallow roots face is the fact that they can only absorb the water near the surface of the soil, which dries out much more quickly than deep soil. For this reason, shallow-rooted shrubs tend to wilt more quickly during periods of drought than plants that have a taproot. In addition, plants with shallow roots have a higher chance of developing root rot if planted in areas that are prone to flooding or standing water. They are also vulnerable to unseasonal freezes. Finally, such shrubs may suffer damage to their roots by gardening tools or by other plants that encroach on their area. Many shrubs with shallow roots are heavy bloomers. 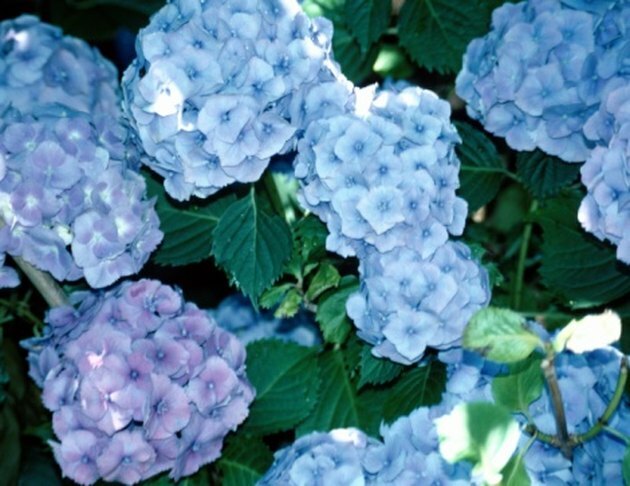 Rhododendrons, hydrangeas and azaleas all feature beautiful clusters of flowers, and have shallow roots. Boxwood, which is desirable for its dense, evergreen leaves, also has shallow roots. Mahonia repens is a small, dense evergreen shrub that has showy fall color and spreads through shallow roots. Plant shallow-rooted shrubs in areas of the landscape that are well draining. 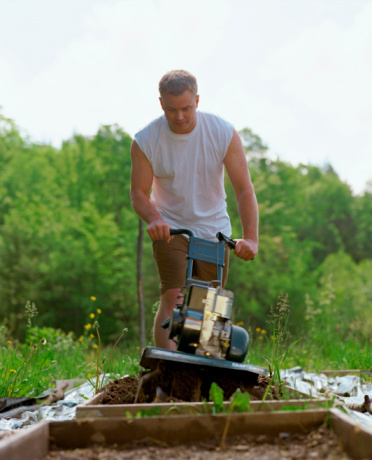 Dig a hole only as deep as the root-ball, or even slightly shallower, but make the hole twice as wide so the roots can spread out. Planting a shallow-rooted shrub too deep can put them in distress. 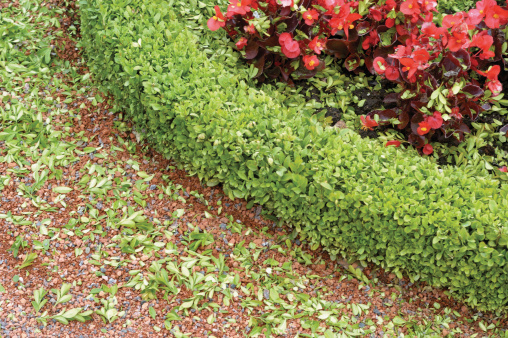 Surround your shrub with a thick layer of mulch in the spring and fall, which will protect the shallow roots from late or early freezes. What Tree Can I Plant Near a Well? Do Boxwood Shrubs Have Big Roots?